In September 2003, the National Gallery of Victoria refused to exhibit an artwork that used human tissue as part of its installation. Extra Ear – ¼ Scale was developed by artists from Tissue Culture & Art Project (TC&A), including Oran Catts and Ionat Zurr, in collaboration with performance artist, Stelarc. Using Stelarc’s cartilage cells, they grew a scaled-down replica of a human ear; an object of partial life – living and growing tissue – that resembled the shape of a human organ. But, according to Catts and Zurr, two weeks before the show was due to open the curators at NGV said that they had no policy in regard to presenting living tissues in their gallery (2006a: 160). After continued negotiations with the artists – including a request by the gallery that the artists include a statement indicating that the work did not raise ethical issues, a statement the artists could not provide because ‘we see the primary aim of our work to act as a tangible example of issues that need further ethical scrutiny, and to critically engage with the biomedical industry’ (2006a: 160) – both parties compromised. A human ear grown with mouse cells was to be exhibited instead (for image see http://www.tca.uwa.edu.au/extra/images_extra_ear.html). Adams, Trish. ‘Experiments for “Vital Force”: A Productive Art/Science Collaborative Model’, in New Constellations: Art, Science and Society Conference Proceedings (Sydney: Museum of Contemporary Art, 2006), 35- 45. Adams, Trish. ‘Changing Fates: An Exploration of Biomedical Transformations’, in The Future of Digital Media Culture – Proceedings of perthDAC2007, the 7th International Digital Arts and Culture Conference (Perth: Curtin University of Technology, 2007), pp.11-20. Auslander, Philip. Liveness: Performance in a Mediatized Culture, (Routledge: New York, London, 1999). Broadhurst, Susan. Digital Practices: Aesthetic and Neuroesthetic Approaches to Performance and Technology, (New York: Palgrave Macmillan, 2007). Bunt, Stuart. ‘Comments on “Risk, Failure and Legitimacy” in Relation to SymbioticA Bioart Research Lab’, in New Constellations: Art, Science and Society Conference Proceedings (Sydney: Museum of Contemporary Art, 2006), 59-61. Card, Amanda. ‘Becoming Undone With the Dances of Martin del Amo’, Australasian Drama Studies Conference (Melbourne 2007, unpublished). Catts, Oran and Ionat Zurr. ‘The Ethical Claims of Bioart: Killing the Other or Self-Cannibalism’, Australia and New Zealand Journal of Art: Art Ethics Double Issue 4/5.2 (2003): 167-188. Catts, Oran and Ionat Zurr. 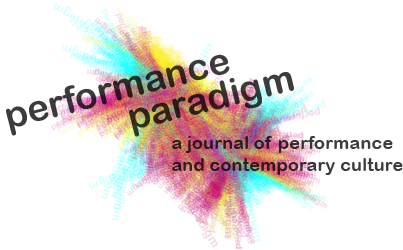 ‘The Tissue Culture and Art Project: The Semi- Living as Agents of Irony’, in Performance and Technology: Practices of Virtual Embodiment and Interactivity, (New York: Palgrave MacMillan, 2006a), 153-168. Catts, Oran and Ionat Zurr. ‘Towards a New Class of Being: The Extended Body’, Intelligent Agent 06.02 (2006b): 1-7. Davis, Lennard J. and David B. Morris. ‘Biocultures Manifesto’, New Literary History 38.3 (2007): 411-418. Fadiman, Anne. The Spirit Catches You and You Falll Down, (New York: Farrar, Straus and Giroux, 1997). Finkel, Elizabeth. Stem Cells: Controversy at the Frontiers of Science, (Sydney: ABC Books, 2005). Geertz, Clifford. ‘“From the Native’s Point of View”: On the Nature of Anthropological Understanding’, in Meaning in Anthropology, (Albuquerque: University of New Mexico Press, 1976), 221-238. Giannachi, Gabriella. The Politics of New Media Theatre, (London, New York: Routledge, 2006). Jackson, Michael. At Home in the World, (Durham: Duke University Press, 1995). Jackson, Michael (ed.). Things as They Are: New Directions in Phenomenological Anthropology, (Bloomington: Indiana University Press, 1996). Lewis, J. Lowell. ‘Genre and Embodiment: From Brazilian Capoeira to the Ethnology of Human Movement’, Cultural Anthropology 10.2 (1995): 221-243. Mansfield, Nick. Subjectivity: Theories of the Self from Freud to Haraway, (Sydney: Allen & Unwin, 2000). Maxwell, Ian. ‘“Who Were You?”: The Visible and the Visceral’, in Anatomy that is Alive (forthcoming), (University of Amsterdam, University of Chicago Press, 2008). Merleau-Ponty, Maurice. Phenomenology of Perception, trans. Colin Smith (New York: Routledge, 1962; 1945). Moran, Dermot. Introduction to Phenomenology, (London, New York: Routledge, 2000). Rose, Nikolas. The Politics of Life Itself: Biomedicine, Power, and Subjectivity in the Twenty-First Century, (New Jersey, Oxford: Princeton University Press, 2007). Rossmanith, Kate. ‘Many Me’, in Best Australian Essays 2007 (Black Inc.: Melbourne, 2007), 122-28. Rothfield, Philipa. ‘Performing Sexuality, the Scintillations of Movement’, in Performing Sexualities, (Brisbane: Institute of Modern Art, 1994), 57-66. Squier, Susan Merrill. Liminal Lives: Imagining the Human at the Frontiers of Biomedicine (Durham University Press: Durham and London, 2004). Waldby, Catherine. The Visible Human Project: Informatic Bodies and Posthuman Medicine, (London, New York: Routledge, 2000). Willet, Jennifer and Shawn Bailey. ‘Bioteknica: Soft Experiments from the Laboratory’, in New Constellations: Art, Science and Society Conference Proceedings (Sydney: Museum of Contemporary Art, 2006), 67-73.